Are we taking the right medicine for inflation? 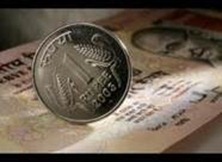 The Indian government claims that inflation is being tackled after the recent report (July 2011) showed that the inflation was marginally better than expected levels. (that too because of high base effect of 2004-05 prices). But the real problem is not getting solved! What will happen if you take medicine for malaria when you are suffering from jaundice? This is exactly the situation we’re into. Let’s break the inflation: The food articles price index grew by 39% in last two years. Processed food and food grains have grown by 19% each. On the flip side, fuel and manufacturing prices grew with 11% and 9% respectively. Monetary tightening if continued for a long-time can reverse India’s growth story. Recent economic data indicates country’s gross domestic product growth had slowed, as companies spent less, foreign investment dropped and bad loans piled up at some banks. So how can we tackle it? – Expediting the multi-brand retail FDI proposal which will improve supply chain constraints and reduce losses due to wastage (another issue India’s agricultural supply chain is infamous for). The government’s victory in 2009 was based on changed agenda to address issues like banking regulation, land acquisition and pension reforms. However, things have just worsened post that. It is high time, we tackle inflation. Let’s hope its India Shining and NOT India Shinning! Interesting statistics on Google Plus! How to remain awake in a sleeping economy! Since last year the inflation situation is beyond my understanding. I am just a common man. I grow up with the teaching that in a free market, every thing depend on demand supply equation. In preliberalization era, there was another factor which was part of the equation – hoarding. (The famous film Mother India was made on the same theme) Now that factor is not so important except few cases here and there. So I was taught that every thing depended on supply demand equation. Since last year (the year of plenty) the inflation is not following the simple formula. Last year, due to wide spread and sustained rainy season, India produced bumper crops in literally every thing. I thought prices will be contained. Now lets take each one case by case. Cotton : Inspite of record output, the prices jumped almost 50%. Wheat : Same story as that of Rice. Pulses : Bumper crop, infact the record output reduced imports by half, but there is no softening in prices. Oil seeds : Same story as that of pulses. Sugarcane : Again bumper crops but no coming down in sugar prices. Last year saw some of the highest price rises in food crops. Remember the Onion crisis? Where has the supply demand equation gone? Why it is not working? If inspite of bumper crops, prices wont come down in 2010, how can the govt plan for containing inflation when it dont know what is the rainfall in 2011?